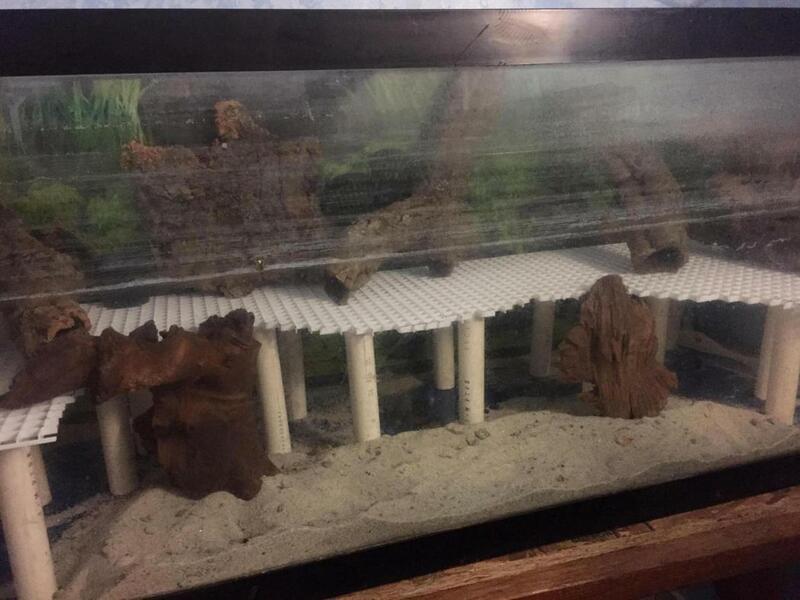 New 75 gallon paludarium need help! 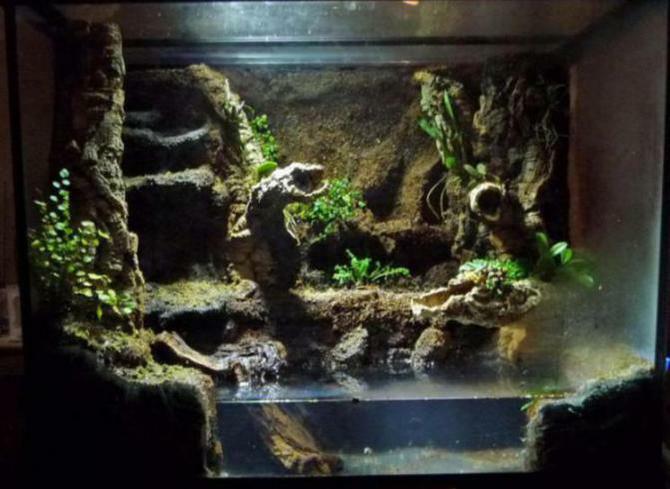 I'm building me a 75 gallon Paludarium and am having trouble making a realistic water land . I was thinking foam with concrete but was wondering what are some other options to explore?? Re: New 75 gallon paludarium need help! i always had some image in my head how i wanted it to look but not looked for much reference until i was in the middle of the project, so i would recommend looking for pictures of a scenario you want to recreate and from there look what would be the "best" way to build it. I'm thinking something similar to this. then drill a hole through the PVC and zip tie the foam to the post. Then it won't float. Or you could silicone the foam in place then do your finish work while it's inside the tank and the sand will cover the seam on the bottom. Never thought of zip tying it together. Good idea thanks. Another stupid noob question lol but why use pink foam? I have a whole shed full of the blue stuff but everybody says to use pink and was just curious why? from what I just gathered online is that they are the same but just 2 different manufacturers. People say to use the pink foam because polystyrene, the white stuff, leeches chemicals I think. Maybe the pink stuff is more common so it's always mentioned. This is just from what I gathered from online so this info is only as good as the online sources so it might be wrong but I'm pretty sure the pink and blue stuff is the same. That's what I thought too but I wanted someone else's option.